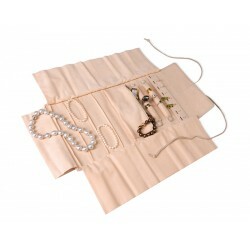 We invite you to know our collection of ladies' travel jewel cases and roll ups for luxury jewellery. Here, at the online store of Absolute Breton, you will find exclusive pouches and cases handmade with genuine leather from Ubrique. 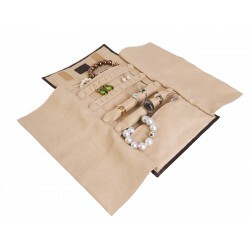 Pick the design which fits better to your needs: all our jewellery cases and leather goods can be customised. Ladies' travel jewel cases are elements full of mystery and art. Created as small chests where you can keep the most beautiful treasures, they are a comfort system very functional for safely carrying the most delicate jewellery and accessories for women. Check all kind of models on our online store.